Genie Lifts Boom Lift Scissor Lifts | KMH Systems, Inc.
Genie Lifts set the standard by which other lifts are judged. Simply put, they build a better lift for every job. With four decades of experience, Genie provides the most advanced lifting equipment in the industry and their full line of products offers unmatched performance, safety and reliability. Get the reach and reliable performance you need to get the job done from the ever-growing line of Genie articulating and telescopic booms. 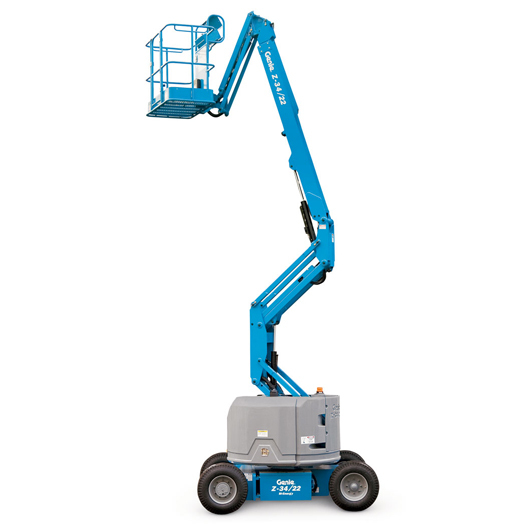 Electric, bi-energy or engine-powered — for indoor, outdoor or rough terrain applications — there’s a Genie lift for every job. Genie articulating Z-booms provide the ultimate in versatility with up, out and over positioning capabilities for hard-to-access work areas. All of the booms can be customized with a variety of options and packages to fit your individual job site needs. The ever-expanding line of Genie electric and rough terrain scissor lifts offers you unmatched performance and versatility — boosting work site productivity. 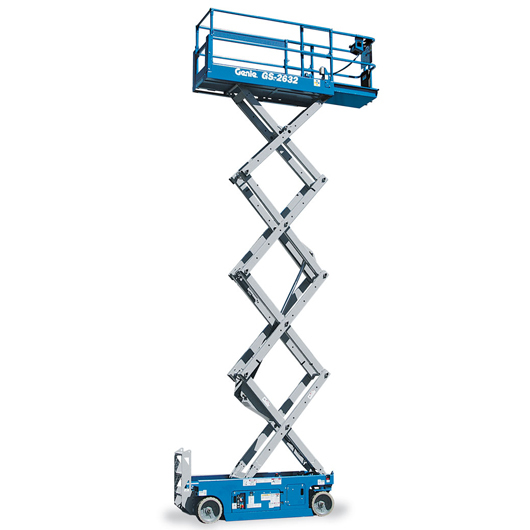 Genie electric scissor lifts are exceptionally mobile, letting you maneuver in tight worksites. Plus, they’re productive and efficient, allowing maximum workspace for larger loads and more workers. Genie rough terrain scissor lifts also enhance productivity by providing exceptional traction, speed and gradeability.